A central nuclear waste repository is years IT HAS BEEN 15 years since the federal government was legally obliged — but failed — to begin accepting waste from the country’s nuclear power plants. It has been four years since President Obama zeroed out funds for a permanent geologic repository at Yucca Mountain, Nev., eliminating hope that the government would live up to its obligation anytime soon. And, according to the Obama administration’s new strategy for dealing with nuclear waste, it will be another 35 years until the government opens a permanent repository at a different site, location as yet unknown. Even if the government meets its new timetable, that adds up to 50 years of delay, a not-in-my-back-yard nightmare that the country is only partway through. More than 68,000 metric tons of nuclear waste have accumulated next to U.S. reactors, which weren’t designed for long-term storage, and that figure is increasing by about 2,000 metric tons every year. Even decommissioned nuclear facilities require gates and guards to protect the waste, a ridiculous misuse of land and money. Meanwhile, consumers financing a federal waste disposal fund through their electricity bills wonder what they’ve been paying for, and the federal government’s financial liability for failing to collect the waste, already in the billions, continues to mount. The situation is safe enough, but it could be safer, and it’s inexcusably expensive. Since the president helped to kill the Yucca project, his administration has borne a particular responsibility to devise a workable way to clean up this mess. Last month the Energy Department finally released its proposal. It is a reasonable plan for post-Yucca policymaking that nevertheless relies on a big assumption — that someplace in the country will volunteer to host some waste. The administration wants to build at least two centralized, interim storage facilities where waste could sit before its eventual transfer to a permanent repository. The first, to open by 2021, would be a pilot storage facility designed to take waste from decommissioned nuclear sites. 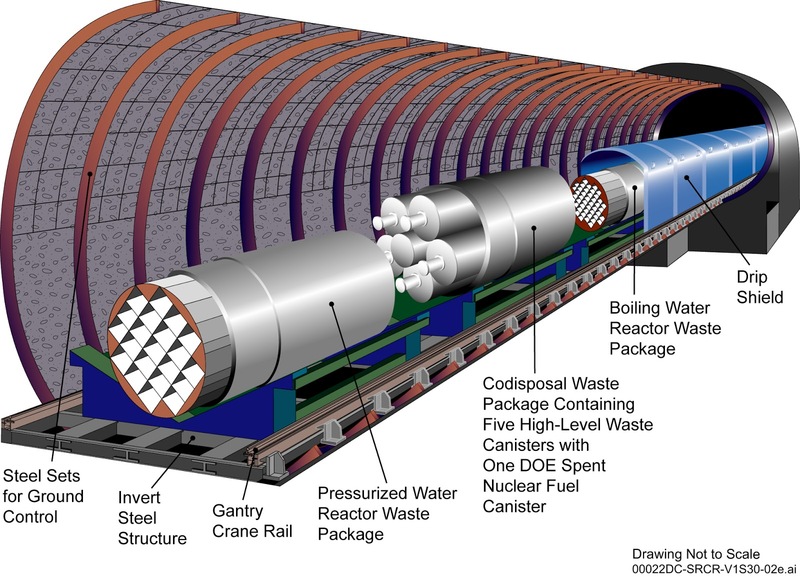 The second would open by 2025; in combination, these facilities would draw down the amount of waste stored at current and decommissioned reactor sites. When the anticipated permanent repository comes online — supposedly by 2048 — the waste would move there.